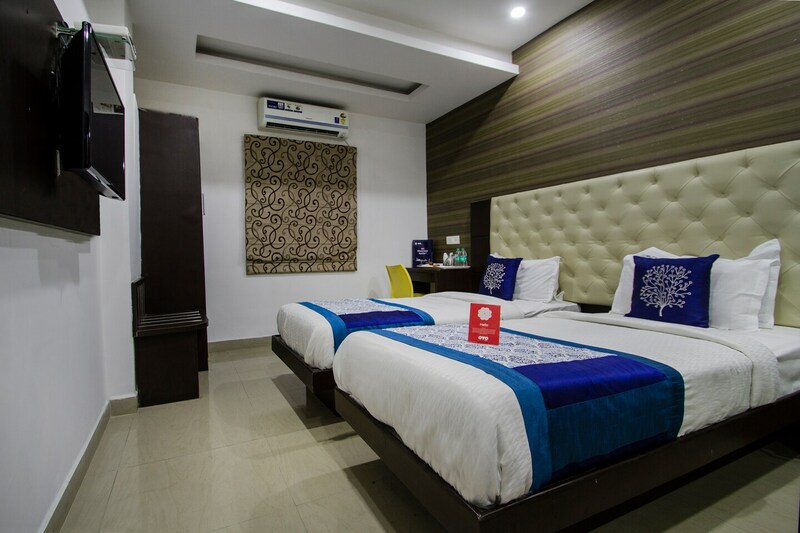 Stay at this pocket-friendly and homely property with classy rooms and essential amenities. Aditya Homes is a comfortable stay option in Gachibowli in Hyderabad. For commuting, the nearest bus top is GPRA, 5 minutes away. Hi-tech City Railway Station is a drive of around 28 minutes from here. Attractions nearby are Mushroom Rock, Shilparamam, Golconda Fort and more. The lively rooms are elegantly adorned and furnished well. The bathrooms are neatly managed and stylishly tiled. The hotel itself is trendy and upscale. Each room has AC, TV, Wi-Fi and en-suite bathroom with geyser. Card payment, laundry services, elevator and CCTV surveillance are the other facilities provided. Restaurants close by are Gal Punjab Di, The Wonton, KS Bakers, Yo! Chinese and ABs Absolute Barbecues. Shopping malls nearby are Gachibowli Central, Atrium Mall and Sarath City Capital Mall.